The Oscar race in the Best Actor category will come down to Matthew McConaughey for his performance in Dallas Buyers Club and Bruce Dern as Woody Grant, the man on a mission, in director Alexander Payne’s latest cinematic gem, Nebraska. The other three in the field, Christian Bale, Leonardo DiCaprio and Chiwetel Ejiofor are all excellent (and certainly could win), but if you had to place bets right now it would have to be on either McConaughey or Dern. It’s going to be a tough decision for many, but when you look at what Payne consistently draws out of his actors (go back and take another look at Sideways for example) — and when you toss in Dern’s long-standing career — you think that he might just get enough of the voting share to pull it out. With the Oscar show being telecast on Mar. 2, Paramount Home Media Distribution’s announcement this past week that Nebraska will be available as either a Blu-ray/DVD Combo Pack (with UltraViolet) or as a stand-alone DVD product offering on Feb. 25 is perfectly timed to take full advantage of the hype leading up to the big event. The ARR is 102 days and ticket sales currently stand at $9.7 million (it continues to grow as word of mouth drives the more discerning to their local multiplexes). 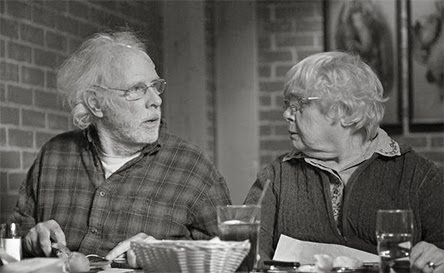 In addition to Bruce Dern’s Best Actor nomination, the film is nominated for Best Picture (good luck on that — it would be true dark horse if it won in that category), plus Alexander Payne made the cut as one of the five finalists for Best Director (his third nomination in this category — Sideways and The Descendants) and June Squibb absolutely steals every scene she is in and was rewarded for doing so with one of the five Best Supporting Actress nominations (this will be a very close race between June Squibb, Lupita Nyong’o and Jennifer Lawrence). Also on hand is everyone’s favorite sleazy attorney from Breaking Bad, Saul Goodman — Bob Odenkirk — who plays one of Bruce Dern’s sons. In what is now clearly an inside joke, when Saul is being “relocated” at the end of the Breaking Bad series, much to his objections, he is given a new identity and put on a bus to Nebraska!!! SNL alum Will Forte plays Dern’s long-suffering other son, David, who reluctantly accompanies his father on his quixotic road trip. The scenes with him and his two oafish cousins, Cole (Devin Ratray) and Bart (Tim Driscoll), are worth the price of admission on their own! 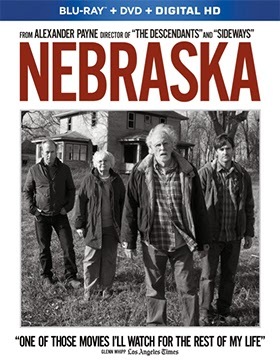 Nebraska is a brilliant film … its inclusion in the list of Best Picture candidates for 2013 is no accident! Warner Home Video was busy this past week with an onslaught of new DVD and Blu-ray Product offerings. 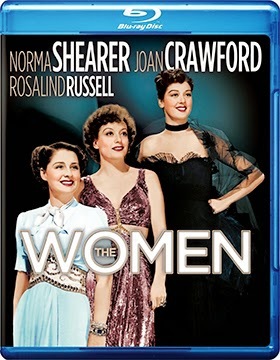 Leading the parade of hits is director George Cukor’s 1939 cinematic gem, The Women, which will be making its Blu-ray bow on May 6. Bonus goodies for this all-star (135 different actresses, including Norma Shearer, Joan Crawford, Rosalind Russell, Paulette Goddard and Joan Fontaine) pre-war New York society comedy (based on Clare Boothe Luce’s stage play) include two vintage documentaries — “From the Ends of the Earth” and “Hollywood: Style Center of the World” — and alternate sequences. Also getting a May 6 Blu-ray/DVD Combo Pack release (with UltraViolet) is the latest feature-length super hero animated film, director Ethan Spaulding’s Son of Batman. 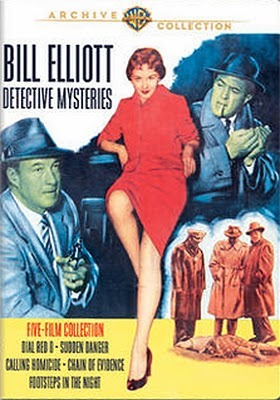 On the DVD release front, look for a five-film collection on Jan. 28 titled Bill Elliott Detective Mysteries. 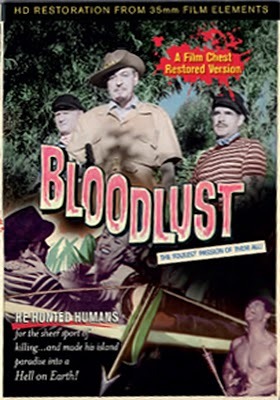 The B-movie series (as Hollywood made them) was giving way to episodic television during the mid-1950s … this was one of the last “formula” theatrical series (probably should have been a TV series) to be launched. Included in this unique detective series, which starred Western icon Bill Elliott as Los Angeles Sheriff Detective Andy Doyle, are: Dial Red 0 (1955, written and directed by Daniel B. Ullman), Sudden Danger (1955, co-starring Beverly Garland and Tom Drake), Calling Homicide (1956, co-starring Don Haggerty — he would appear as Elliott’s partner in the final three films in the series), Chain of Evidence (1957) and Footsteps in the Night (also 1957). On Feb. 4, future president Ronald Reagan stars in the DVD debut of director William Keighley’s 1938 Virginia Military Institute comedy, Brother Rat. Jane Wyman, the future first wife of Reagan, was his co-star. On the same date Warner Home Video is releasing the 1940 sequel, Brother Rat and a Baby, which also teamed Reagan and Wyman, along with Wayne Morris, Eddie Albert and Pricilla Lane (all back for the sequel). A double-disc collection of Tom and Jerry television adventures has been added to the Feb. 18 release schedule — title is Tom and Jerry: Mouse Trouble. And lastly, Looney Tunes Spotlight Collection #8 (a double disc set) will be available on May 13. Philadelphia-based Canteen Outlaws will enter the domestic DVD market place on Feb. 18 with the debut of Argentine filmmaker Marcho Berger’s latest cinematic treat, Hawaii. It has to be a bit unnerving for the major studios these days when filmmakers, not just here in the United States, but from around the world, can deliver quality film productions on what amounts to “micro” budgets. Cinematography, sound, editing and technical aspects are on a par with, or damn close to, the standards set by the big-budget “Hollywood” productions. Such is the case with writer/director Marcho Berger’s latest as he has clearly build on the successes of his earlier Plan B and Absent (a festival winner in both South America and Europe) film productions. There’s a sense here, with Hawaii, of a filmmaker in control of both the medium and his storytelling abilities. Martin (Mateo Chiarino) is homeless, he spends his days looking for work by going door to door, and his nights curled up with his blanket in what shelter he can find. It is during one of his daily work-finding missions that he comes across the home of Eugenio (Manuel Vignau — as Bruno in Berger’s Plan B). He is quickly dismissed as the vagrant he is, but then Eugenio has a change of heart when he suddenly recognizes his childhood friend. It is from this chance meeting that a summer of discovery is about to begin. Filmed in Argentina (the title, we believe, is a metaphor for paradise) and presented in Spanish with English subtitles. 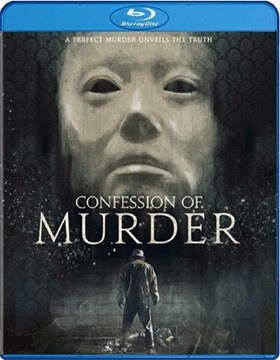 It would not come as a surprise if one of the Hollywood studios did a big-budget/big-star remake of writer/director Jung Byung Gil’s Confession of Murder. It’s that good … it’s that entertaining! This Korean-language thriller is heading to the domestic market as both DVD and Blu-ray product offerings on Apr. 15 courtesy of Well Go U.S.A.
Lee Du-sok (Park Si Hoo — The Princess' Man) is a killer, more to the point, a serial killer, and he has seemingly gotten away with murdering ten women. Through a quirk in the law, the statute of limitations has expired on the ten unsolved cases and so he’s decided to write a tell-all book about his killing spree. 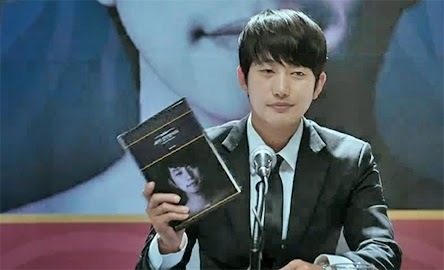 Detective Choi (Jung Jae Young) was in charge of the investigation and is now being taunted by Du-sok with his best-selling book. But wait! Others are lining up to take credit for the murders (fans will be fans) … and to make matters worse for Choi, some of the victim’s relatives are out for revenge! If all of this wasn’t enough, a new “victim” has gone missing! Are the killings about to begin anew? Eagle Rock Entertainment will be bringing documentary filmmaker and music aficionado Martin Smith’s in-depth look at The Who and their 1968 “rock opera” masterpiece, Tommy, to the home entertainment marketplace on Mar. 11. Titled Sensation: The Story of Tommy, this feature-length film presentation features extensive interviews with the likes of Pete Townshend (among others), as Smith was given full access to piece together the story behind the genesis of the stage show, the album (over 20 million copies sold) and the subsequent film production (1975, directed by Ken Russell with an amazing cast that included The Who, Ann-Margret, Oliver Reed, Elton John, Tina Turner and Jack Nicholson). Sensation: The Story of Tommy is must for fans of The Who and of Tommy, their timeless musical creation. 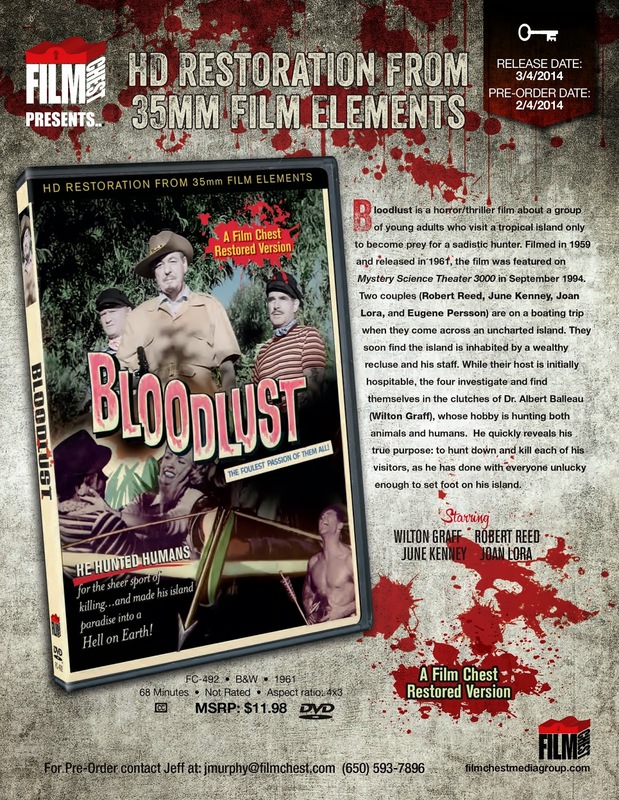 Release news about the latest film restoration from Film Chest surfaced this past week. Set for delivery on Mar. 4 — and with HD restoration from original 35mm film elements — is writer/director Ralph Brooke’s Bloodlust!, his 1961 spin on the time-honored classic, The Most Dangerous Game. A group of teens, including June Kenney (Earth vs. the Spider, Attack of the Puppet People, etc. ), go out for a boat ride and take a break to explore what they believe to be a deserted island. It quickly becomes a death hunt when Dr. Balleau (Wilton Graff), the owner of the island, begins stalking them as prey … no one landing on his little patch of paradise has survived one of his hunts! VCI Entertainment has tabbed Mar. 4 as the street date for a quartet of classic thrillers from the 1950s. In chronological order we begin with the 1952 George Raft crime drama, Loan Shark, which co-stars Dorothy Hart and veteran character actor Paul Stewart. Here, tough-guy Raft plays an ex-boxer fresh from prison after a three-year jolt for using his fists — dangerous weapons — to nearly beat a man to death. He infiltrates a loan shark operation to expose the crime lord running the operation … a bit of a change of pace for him. 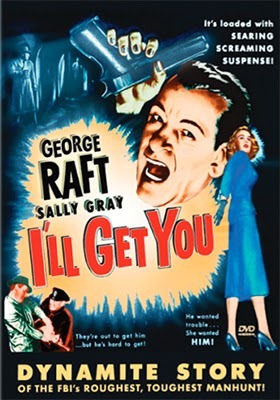 Filmed in 1951, but not making its way to the domestic market until 1953, is another George Raft film, I’ll Get You, which was originally titled Escape Route. Shot on location in London, Raft plays Steve Rossi, an FBI agent who is assigned to investigate the disappearance of a number of nuclear scientists … he is teamed with Brit agent Joan Miller (Sally Gray — her last film before retiring from the screen). 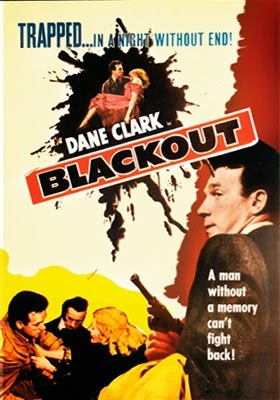 Next on the agenda is director Terence Fisher’s 1954 noirish murder mystery, Blackout, starring Dane Clark as an American drifter in London who gets hustled by Belinda Lee into being the foil in murder plot, but finds Eleanor Summerfield coming to his rescue. Rounding-out this foursome is the 1957 plucked-from-the-headlines organized crime thriller, Portland Exposé, directed by Harold Schuster (Mr Friend Flicka, Dragoon Wells Massacre, etc.) and starring Edward Binns as a local bar owner who gets caught in the middle of a turf war between rival mobs. Mill Creek Entertainment announced its first wave of DVD product offerings for the month of March this past week. First up, and timed for the St. Patrick’s Day promotional period with a Mar. 4 street date, is director John Henderson’s two-part Emmy-nominated mini-series, The Magical Legends of Leprechauns. 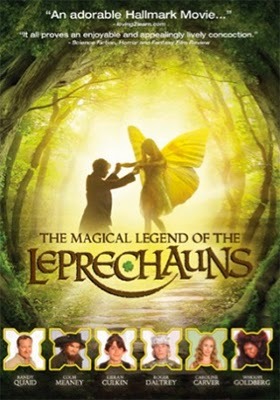 The Leprechauns, headed by Seamus Muldoon (Colm Meaney) find themselves at odds with the fairies, with a visiting American Jack Woods (Randy Quaid) caught in the middle, while the Grand Banshee (Whoopi Goldberg) seeks to restore order! Two weeks later, Mar. 18, Mill Creek Entertainment has the priced-to-own (just $9.98), four-film collection titled Animal Fun Pack ready for DVD. Included in the collection are: Born Free and its sequel, Living Free, plus Buddy and Sylvester. Also on Mar. 18 are Starsky & Hutch: Season One (a four-disc collection), Are We There Yet?, Last Action Hero and three double features: Donnie Brasco and The Devil's Own; I Know What You Did Last Summer is teamed with When a Stranger Calls; and, You Got Served is coupled with Stomp the Yard. All SKUs are priced at just $9.98.